Meet Mini iGuy — the free-standing foam case for iPad mini. 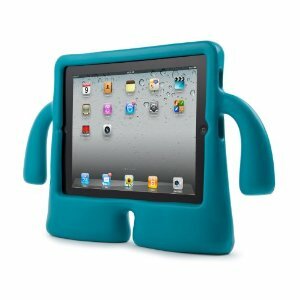 Every bit as protective as he is a blast to use, iGuy is the perfect iPad mini accessory for kids and grownups alike. He's lightweight, easy to hold, and he can stand on his own two feet, even while holding up your iPad mini. He may look like he’s all about fun, but his soft, squishy body disguises tough EVA foam protection. 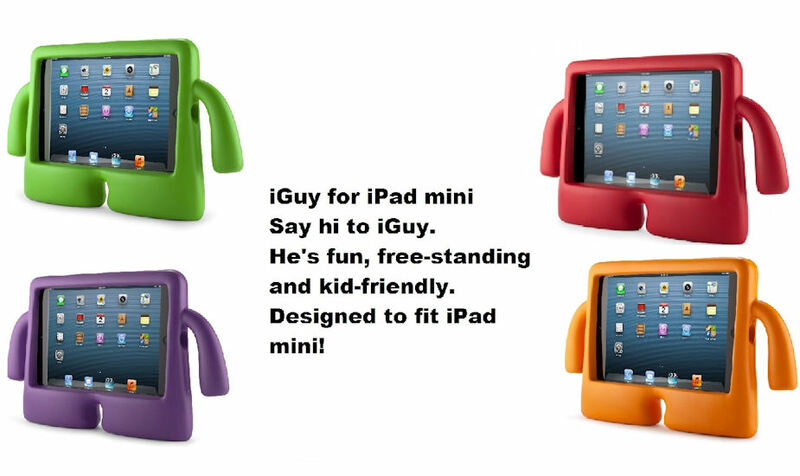 iGuy will help you feel more secure as you hand your iPad mini over to your baby or small child! * Drop-tested. With its flexible, foam construction, the lightweight iGuy is the perfect iPad mini playmate for families with young children. * Free-standing. For cartoon hour, the iGuy stands at attention—while it holds your iPad mini—offering a convenient viewing angle. * Huggable. The iGuy’s little arms and soft foam make it easy—and even fun—to hold.